Alaska Airlines has been busy this season. After recently announcing a codesharing agreement with Icelandair, which includes reciprocal frequent flyer perks, the carrier is now expanding its relationship with Emirates, a Dubai-based airline. The new partnership between Alaska and Emirates means that travelers can book connecting flights on both airlines using one itinerary. 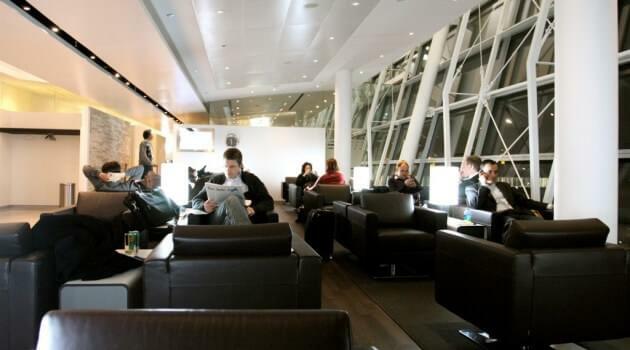 Elite flyers also get lounge access, priority check-in and priority boarding on both carriers. That means that Alaska Airlines elite status holders traveling to Dubai get free entry to Emirates Business Lounge, which is a great perk. The lounge offers travelers everything from champagne and seemingly endless buffets to spa treatments and massages. Alaska and Emirates have been frequent flyer partners since 2012, and with this new deal the frequent flyer partnership remains intact, so you can still earn and use miles when traveling on both carries. Alaska Airlines Mileage Plan members can use their miles to book first class tickets with Emirates. The airline offers a superior first class cabin and lots of exotic international destinations, including Bali, Melbourne, Mumbai, Singapore and Tokyo. As part of the new agreement, Alaska Airlines MVP Gold and MVP Gold 75K Mileage Plan members can get into the Emirates Business Class lounges in Dubai for free. If you’ve been to this lounge, you know its loaded with luxury perks and amenities. Good food is important to many of us when we’re waiting for our next flight, and Emirates has a lot to offer, including a variety of buffets with everything from Middle Eastern dishes and continental choices to Moet & Chandon champagne, hot dogs, desserts and fresh popcorn. The lounge is expansive, offering quiet spaces to relax or read, as well as a bar where you can have a drink and chat with friends. Emirates has even thought of kids, with a buffet just for them as well as a separate playroom. The lounge also has workstations, complete with computers, if you want to surf the web or do some work. If you’re feeling a little jet lagged, there are flat bed seats so you can catch some Z’s. You could take a refreshing shower, too. Why not go all out and get a massage to help you get through the next leg of your trip. Or maybe a spa or beauty treatment is more your speed, complete with a new hairstyle, manicure and pedicure. Emirates Skywards Gold and Platinum members will be able to relax in Alaska Airlines’ Board Room lounges in Los Angeles, Anchorage, Seattle and Portland. The lounges are outfitted with new fingerprint scanning technology for easy access, and include concierge service, free snacks and beverages, private workstations, conference rooms and Wi-Fi. Once the deal receives government approval, Emirates will be able to sell over 300 daily Alaska Airlines flights to 49 cities throughout North America, including Honolulu, Denver, Las Vegas, Portland, Phoenix, Sacramento, Juneau and Vancouver. It means more connections for travelers, and the ability to book multi-airline itineraries on the same ticket. While this might seem like bigger news for Emirates, this deal gives Alaska lots of traction with travelers, too. “As Seattle’s hometown airline, our partnership already connects 2,500 customers a week to Emirates and we expect that to increase as we streamline the travel experience for customers traveling between Alaska and Emirates,” said Brad Tilden, CEO and President of Alaska Airlines.